Courtesy of the Cheyenne Mountain Zoo. Life-size memorial statue planned for installation later this year. She was the little giraffe that captured the hearts of many when she was born. 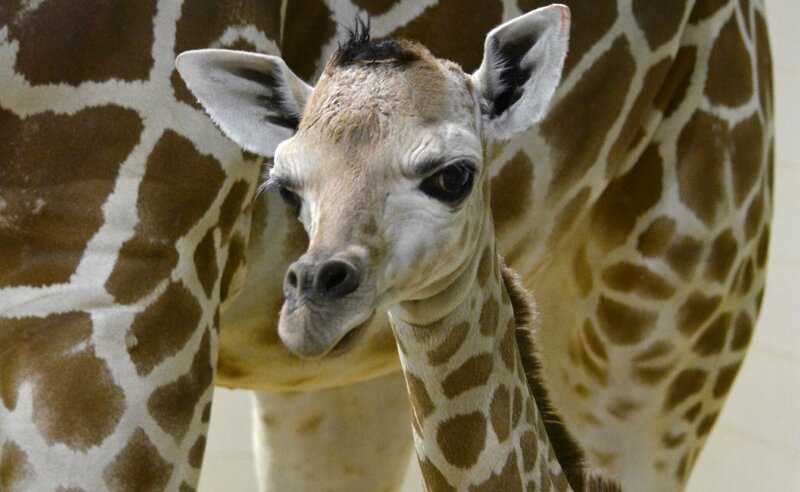 The Cheyenne Zoo's 200th giraffe calf came into the world in June of 2018 and many waited breathlessly for her to take her first steps, which she was not able to do without zoo-staff intervention. But after that, she was walking and nursing from mom, Muziki, in no time. Unfortunately, her problems standing up were a foreshadow of more serious complications down the road. She began having leg issues at nine days old, and it was later discovered that she had an infection in three of her legs and a dislocated hip joint. In the end, zoo staff did not feel she would overcome the medical issues or have a high quality of life, so she was euthanized at two months old. Recently, the Cheyenne Mountain Zoo announced that it would build a memorial for Penny because many people had asked for it. 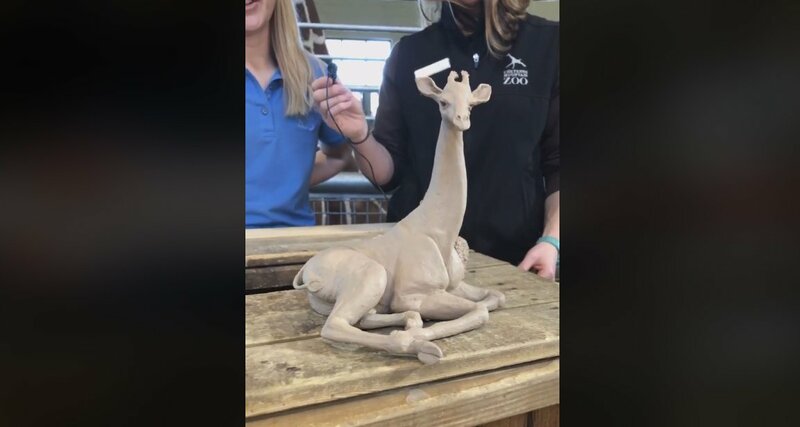 The statue will be life-sized, featuring the giraffe on the floor next to a bale of hay. An in-house sculptor will be working on the memorial. "We realized Penny made such a huge impact on people, that we wanted to give them an immersive experience," said Bob Chastain, president and CEO of the Cheyenne Mountain Zoo. The model for the Penny memorial statue. Courtesy of Cheyenne Mountain Zoo (Facebook). The hope is for the statue to be finished and in place by the end of this summer. You can, however, weigh in on the design, as the zoo wants your feedback. "Until January 31, we'd love to hear your thoughts on the model (Penny's spots will be applied to the next stage model). Comment here, and we'll take all of your ideas into consideration before we finalize the design," said the zoo's Facebook post. Head over to the Facebook page to see the memorial announcement and leave your comments here if you have suggestions or comments. Menus for Denver Restaurant Week 2019 have been released!